Looking for a fun way to get outdoors and see some birds? The yearly Roan Mountain Fall Naturalists Rally is always a great way to enjoy a preview of the imminent autumn bird migration. 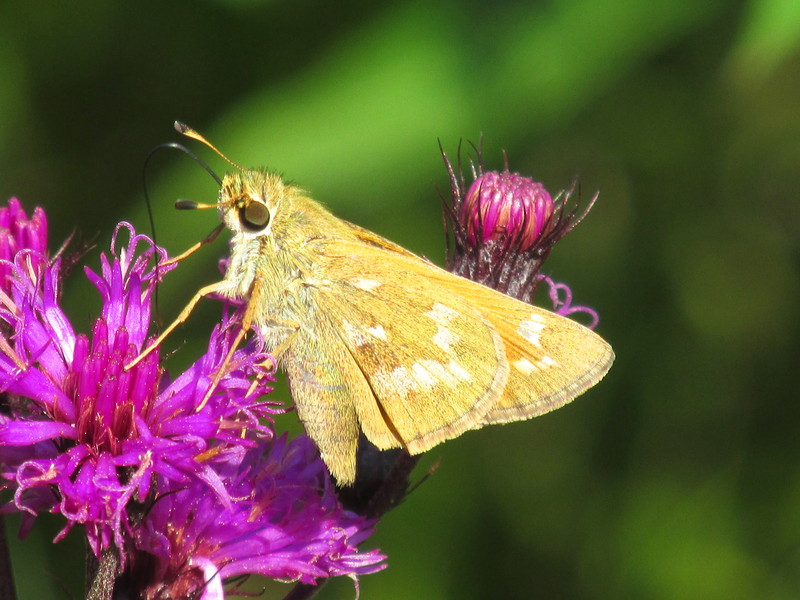 The three-day rally offers more than birding opportunities, however, and features hikes to look for everything from reptiles, wildflowers and mushrooms to butterflies, moths and other insects. Photo by Bryan Stevens A curious Gray Catbird peeks from dense cover. 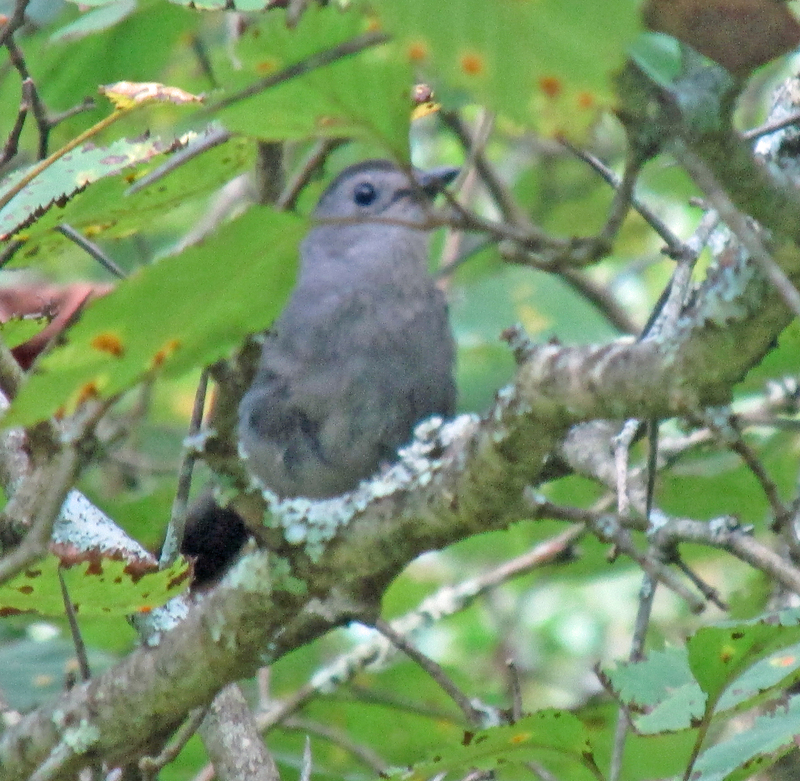 Attendees at the fall rally can look for catbirds and other species at any of the offered bird hikes. This year’s Fall Naturalists Rally will be held Friday-Sunday, Sept. 5-7. For 52 years the rally has drawn nature enthusiasts from far and wide to Roan Mountain on the weekend after Labor Day. Top naturalists volunteer their time and energy to make the event both enjoyable and educational for people of all ages. Gary Barrigar, director of the fall rally, noted that the event continues to celebrate the natural world by providing two top speakers. This year the event will feature naturalist and ecologist Jennifer Frick and photographer Mark Peacock. Because of the continued support of the Friends of Roan Mountain, Barrigar noted that all the seasonal rallies have the resources they need to prosper and grow and that Friends of Roan Mountain provides support for research and restoration projects on the Roan. 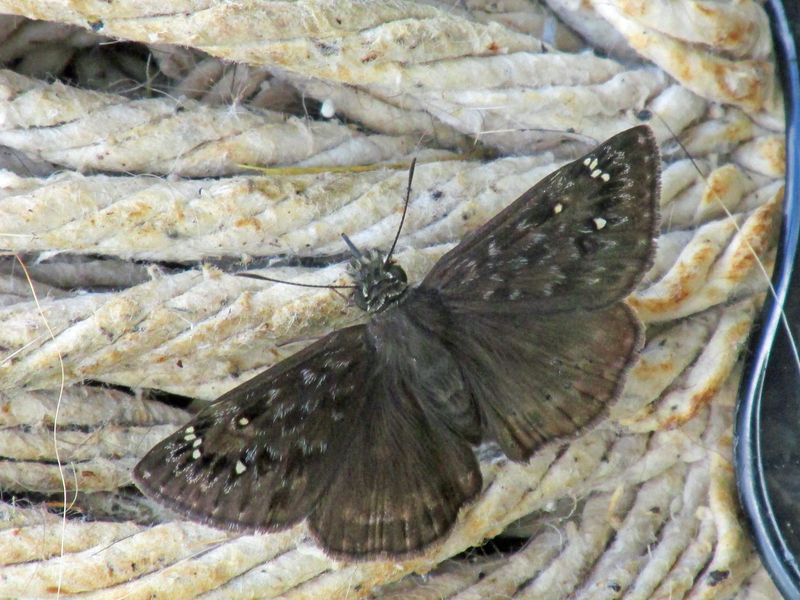 Photo by Bryan Stevens A Horace’s Duskywing is a late-season butterfly that could possibly be found on some of this year’s butterfly walks. He also expressed many thanks to Roan Mountain State Park for its long-time support of the rallies, as well as to the trip leaders who donate their time and expertise. Photo by Bryan Stevens Wildflowers and butterflies are only some of the topics for hikes and activities at the fall rally. As always, programs are scheduled for 7:30 p.m. on Friday and Saturday evenings. This year’s rally will kick off Friday with registration at 5:30 p.m. at the Roan Mountain State Park Conference Center. Evening meals will be held at 6:30 p.m. both days. Dinner reservations are required. On Friday evening, Jennifer Frick will present “Why Is There Such High Biodiversity in the Southern Appalachians?” It’s a question many attendees will probably have asked themselves. A full professor of biology and environmental science at Brevard College, where she has taught since 1997, Frick will provide some answers to that question. In January of 2014, she was promoted to Division Chair of Science and Mathematics. She teaches courses in environmental perspectives, biodiversity and natural history and was awarded the 2003-2004 Award for Exemplary Teaching. She earned her Ph.D. in Zoology from Clemson University in 1995 and completed a Postdoctoral Research Fellowship at the Smithsonian Marine Station in 1996-1997. For nearly 15 years, she and her husband, Edward Ruppert, lived in a log cabin that they built in Balsam Grove, N.C. They generated their own electricity and lived “off the grid” without a direct connection to the power grid. Once their son, Fritz, was born, they decided to adopt a more traditional lifestyle and built a “normal” home that does connect to the power grid, but is energy efficient and fits into the landscape. Frick is working on a book titled “Dreams of Eden” that describes both the skills they acquired in living off the grid and the philosophy they developed in living so close to nature. Many of the skills necessary to live without modern conveniences were cultivated during a period in which she and her husband lived aboard a sailboat, cruising the Southeast. 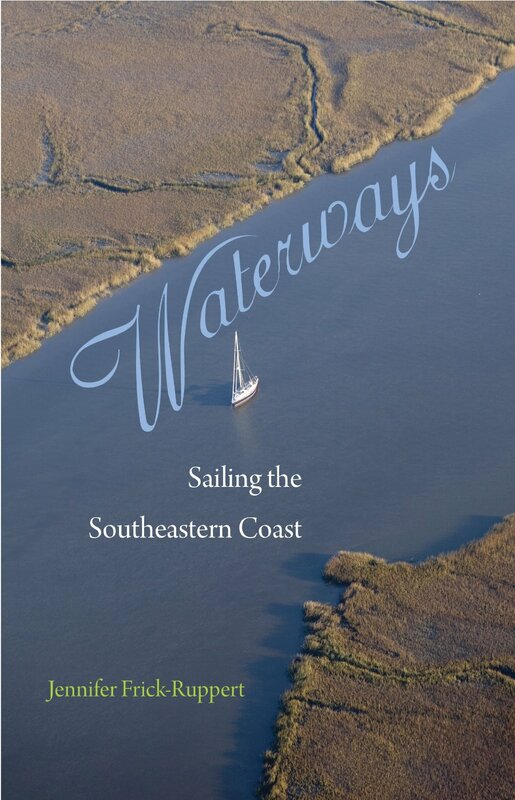 Frick has recently published Waterways: Sailing the Southeastern Coast, which relates these experiences. Combining insights from ecology and sailing, she blends travel narrative and nature writing to inspire and educate. Originally from South Carolina, she grew up with a love of nature and an appreciation for her surroundings. She has written several scientific articles, most recently on the biology of the Blue Ghost Firefly and the caloric values of native fruits, in such journals as Biological Bulletin, Invertebrate Zoology, and North Carolina Academy of Science. She has also authored two websites for South Carolina Educational Television on the Natural History of the Saltmarsh and the Natural History of the Swamp. From 2001-2005, she wrote a regular column for The Transylvania Times. As an outgrowth of those newspaper articles, she published a book called Mountain Nature: A Seasonal Natural History of the Southern Appalachians. Illustrated with both color and black-and-white images, it conveys the seasonal change in animals and plants of the region, emphasizing their interactions and unique characteristics. Her program will focus on describing of the astounding local biodiversity and explaining why this region supports such a profusion of life. It will be illustrated with her photographs, many of which are taken from Mountain Nature. Photo by Bryan Stevens Ruby-throated Hummingbirds are common on the Roan during fall migration. Born and raised in Morris, Illinois, Peacock moved to the hills of northeast Tennessee in 1995 to attend Emmanuel Christian Seminary following law school and practicing law at his family’s law firm. He was soon hired by Milligan College to teach courses in business, law and ethics. Later he added digital photography to his list of courses offered. His love for photography was instilled in him by his grandfather, who taught him lighting and composition and that, at its best, photography is storytelling. Most weekends, he is out hiking and exploring the area with friends and his dog, Blue – and sharing his discoveries on his blog, “Appalachian Treks,” which seeks to promote this region and its beauty. His landscape photography has been featured in various local and regional publications and graces the walls of numerous homes, offices and organizations. Recently, his work was featured in photographic shows “Seasons of the Blue Ridge” and “East Meets West” at the Nelson Fine Art Center in Johnson City. He often leads workshops for organizations and individuals, teaching the art and craft of photography. In addition to landscape photography, he enjoys working in the areas of family portraiture, sports photography, and higher education photography. Please visit his gallery and blog at www.markwpeacock.com for more information. In his Saturday evening program, he will explore the natural beauty of the Southern Appalachians through his photography. Journey with him as he shares his landscape photography of many of the well-known scenic attractions of our region along with images of many lesser known, but stunning destinations found in these hills. Along the way, you’ll learn about some of the colorful characters who came before us in these beautiful mountains. 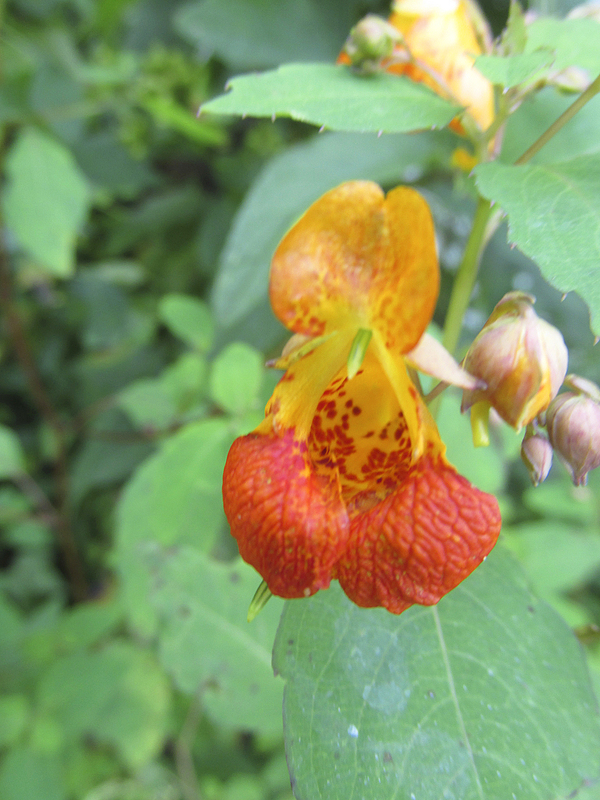 Spotted Jewelweed is a common wildflower on moist, shady slopes of the Roan. In addition to the evening programs, a variety of hikes and activities will be held Saturday morning and afternoon, as well as Sunday morning. Visit http://www.friendsofroanmtn.org for a brochure outlining all the available hikes and other programs. For more information on this year’s rally or FORM, call Barrigar at (423) 543-7576. At home on Simerly Creek Road in Hampton, I am getting glimpses of the start of fall migration. I’ve seen a few warblers along the edges of the woods and yard, including Chestnut-sided Warblers and American Redstarts. To share an observation, make a comment or ask a question, email me at ahoodedwarbler@aol.com or “friend” me on Facebook at https://www.facebook.com/ahoodedwarbler. 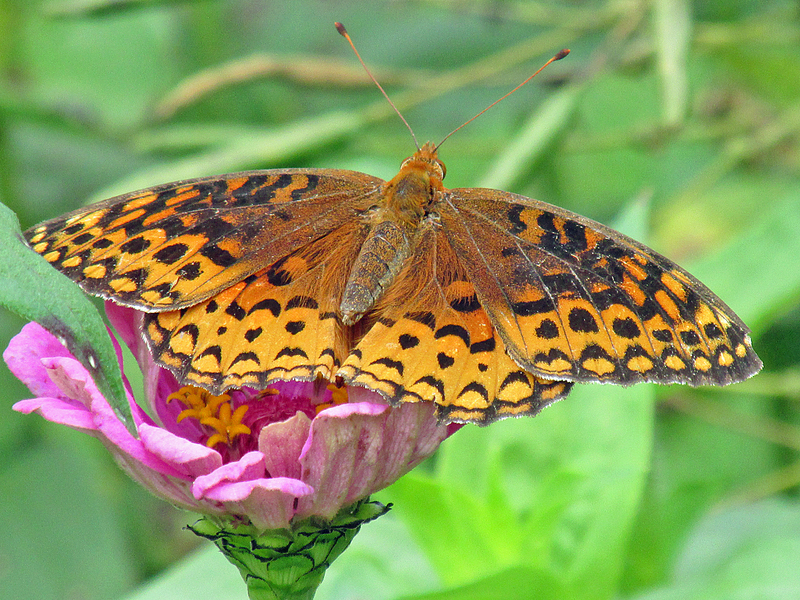 Photo by Bryan Stevens The Aphrodite Fritillary is a fun discovery for butterfly enthusiasts attending the Roan rally. 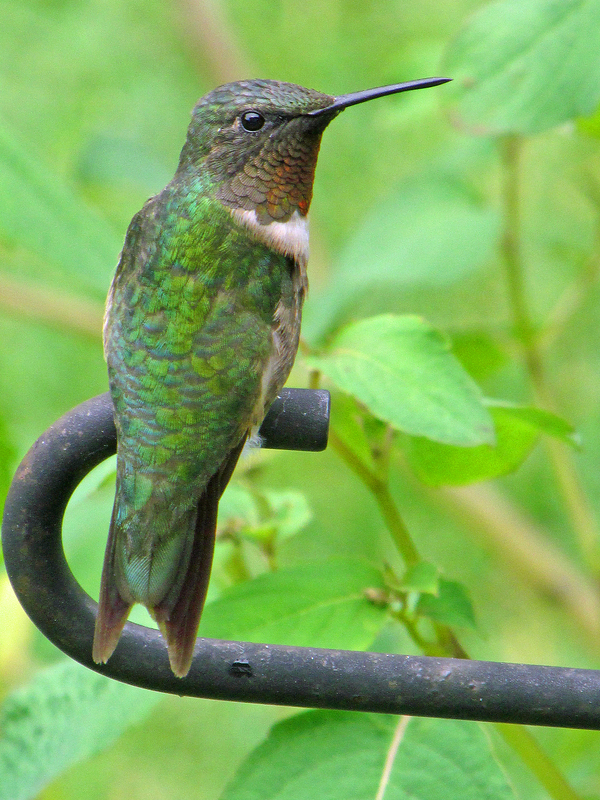 This entry was posted in Birding, Birds, Friends of Roan Mountain and tagged 2014 Roan Mountain Fall Naturalists Rally, birds, Butterflies, Carter County Compass, Elizabethton Star, Erwin Record, Roan Mountain on August 31, 2014 by Bryan Stevens.